Save Time, Money, and Labor!! AarMark's mulch blowing truck is much more efficient than the typical mulch blowing trailer system. Our service requires a 2-man crew compared to the average 3-5 man crew used for other systems. 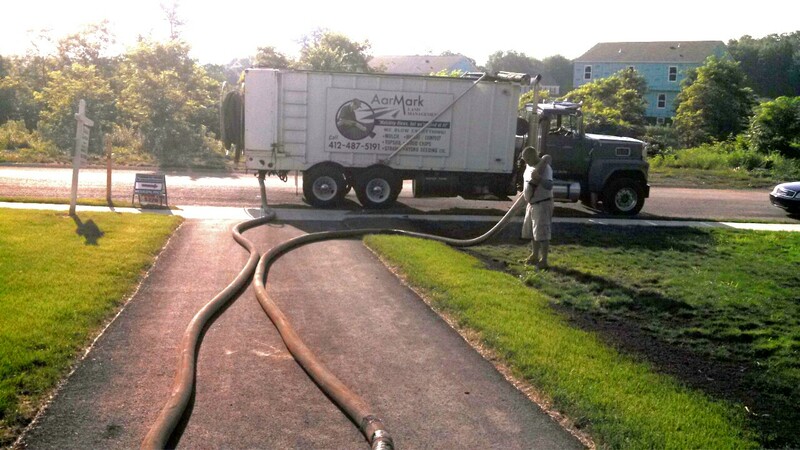 AarMark's blower truck can hold up to 40 yards per trip and has a 300 foot hose. We can install up to 60 yards a day, depending on material. One yard of mulch being blown covers 175 square feet at 1.5 inches deep compared to manual installation at 100 square feet. If requested, AarMark can prep the beds (clean leaves, debris, etc.) and edge the beds at an additional cost. We supply premium quality mulches in dyed and natural varieties.